The Tokiwa Mfg. Co. Ltd. has been owned and operated by the Sugimoto family for over five decades in the center of the Japanese piano industry,Hamamatsu Japan Originally the primary function of Tokiwa was providing grand piano keyboards and actions for use by manufacturers of new pianos in Japan. In 1979 Tokiwa began making some parts for export to the American market. These were first distributed in the U.S.A. by Mr. George Defebaugh through his company" Suprerior Imports". In 1991 Mr. Don Morton acwuired" Superior Imports" and continued the distribution of Tokiwa products through his company" Pacific Piano Supply Co." Since then, the Tokiwa products have expanded from a few types of shanks and flanges and grand wippens, to the over one hundred items shown in this catalog. Today, Tokiwa is a unique and valuable asset to the American technician. By specializing in small quantity production runs of a large variety of parts made exclusively for the repair and restoration trade, Tokiwa is unlike any other action parts maker! 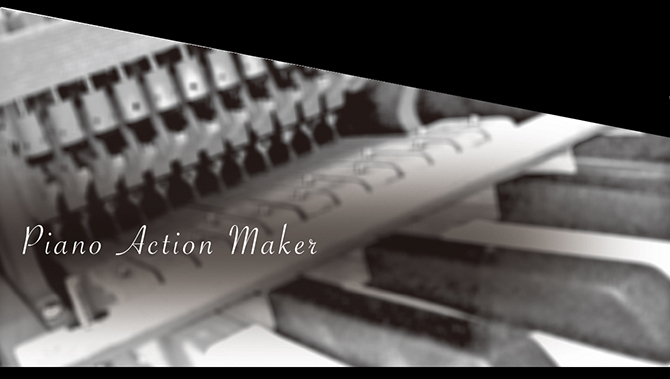 While other action parts makers primary customers are piano manufacturers, Tokiwa' biggest and best customer is YOU, the piano rebuilders. (C) TOKIWA MFG.CO.,LTD All Rights Reserved.